'Monkey fun takes more than one!' says the monkey in the jungle tree. Soon nine of his friends join him in a tail-tangling, tree-dangling jamboree! 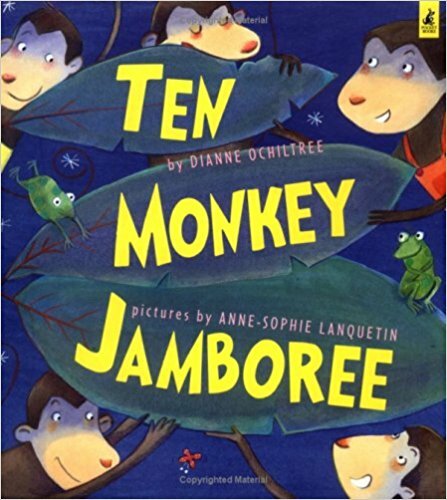 In this cheerful, whimsical romp, readers explore just how many combinations of monkeys will add up to ten. Accompanying the amusing and captivating illustrations, the rhythmic text twirls and spins as much as the monkeys, and makes a perfect read-aloud for the very young.